Showcase your home from the sky at the fraction of the cost and time. 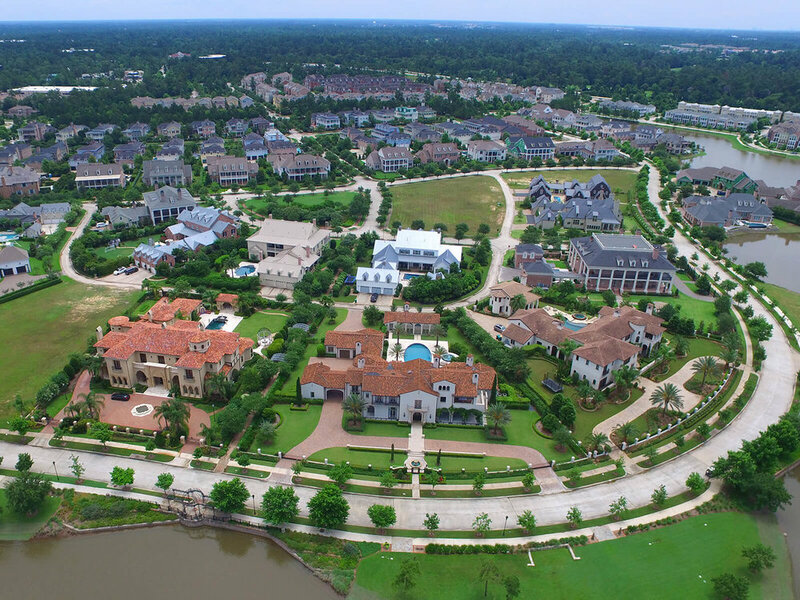 Our professional drone services provide stunning aerial footage including images, video, and panoramas to showcase your residential property from a unique perspective in the sky. Perfect for showing the surrounding neighborhood, viewing large properties, and providing context to nearby amenities and features. DroneBase offers fast and professional aerial photography services at competitive pricing that fits your business needs. All our real estate drone photography packages include up to one hour of flight time on site. The flight will occur as soon as possible, dependent on the weather and your preference for faster turnaround time or clear skies. Imagery hosting is included in all packages at no extra charge. Interested in a Premium video presentation for your listing? We offer highly-custom residential real estate videography via our professional in-house production team. Add a voiceover, 3D graphics, callouts of roads or neighborhood features, and more to your video to make your listing really stand out from the rest. DroneBase uses a network of qualified, professional drone pilots who are trained and have experience with aerial photography services for residential real estate property marketing. All pilots are vetted and tested for professionalism and quality. We are approved by the FAA to fly for commercial use and abide by all local and federal regulations. All our drone services include insurance for peace of mind. Depending on the package you order, we provide high-resolution aerial footage including photos, HD video clips, and edited marketing videos of your property. We host the images and videos in your DroneBase account so you can download for your own use, share with colleagues via a link, or easily embed in your website. All real estate drone photography is yours to own and use as you like. Once your order is placed, a DroneBase Pilot will visit and fly your site within a few days (subject to weather and your preference). After the flight, please allow two additional business days for aerial marketing packages, and three to five business days for edited marketing videos. Placing an order only takes minutes through our user-friendly Client Dashboard.